Let's find out if it really works! The Pixi Glow Tonic has a huge following all over the world because of its amazing ability to make the skin smooth and radiant. It gets its glow-boosting powers mainly from glycolic acid, an ingredient that gently gets rid of dead skin and blemishes. Other ingredients include: Ginseng extract that wakes up tired skin and aloe leaf juice that lightly hydrates the skin, balancing the exfoliating process. It was almost always out of stock when it was first sold here in the Philippines. 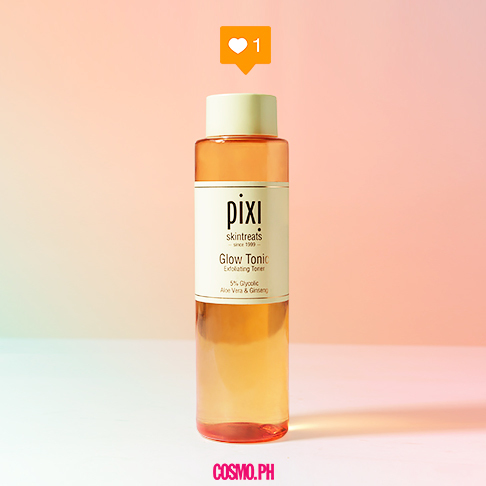 We challenged one Cosmo girl to replace usual toner with the Pixi Glow Tonic for a week. 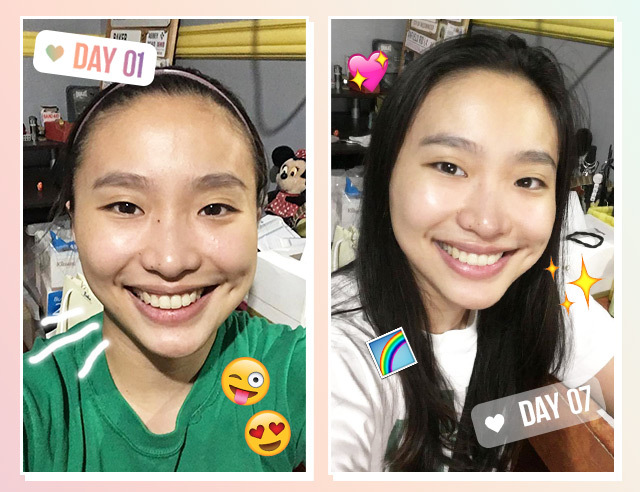 See her beauty diary below! Usual skincare routine: AM: Serum, sunblock, eye cream. PM: Toner, face oil, moisturizer, eye cream. I’ve been using an alcohol-free toner for the past few weeks, so I was cautious to switch to the Pixi Glow Tonic. I was scared it would cause a reaction on my face because I have sensitive skin. After my first use, I noticed that it did a great job of cleaning my skin—it got rid of the leftover gunk my facial wash wasn’t able to take care of. I skipped the rest of my nightly regimen just to see how it would react to my skin. I noticed that my face looks brighter and feels smoother even if I skipped applying face oil, moisturizer, and eye cream the night before. This time, I proceeded with my usual skincare routine. I did my usual skincare routine last night, and I realized that the Pixi Glow Tonic helped my skin absorb my face oil, moisturizer, and eye cream better. I woke up with super soft, smooth, and plump skin. I was surprised to see my face looking so alive and fresh this morning. I was under so much stress the past month, but I did not see any traces of it on my skin. 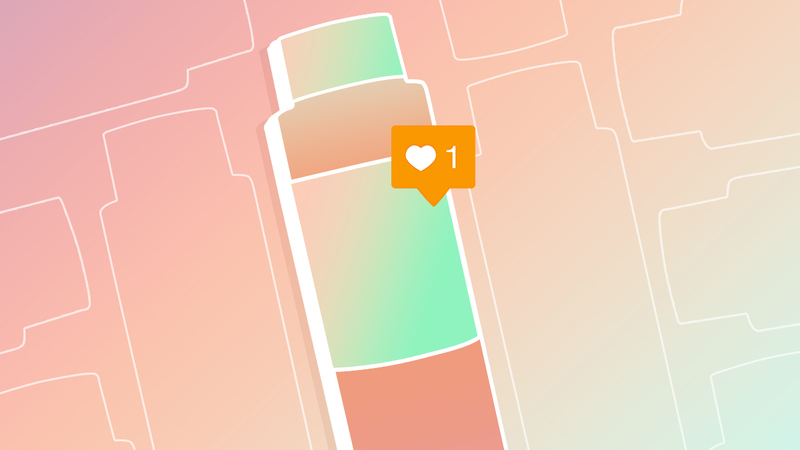 That evening, I traded my nightly moisturizer for my mom’s Vitamin C booster. Let's see what will happen tomorrow! I usually hit the snooze button at least twice before getting up, but I was excited to wake up a few minutes earlier just to see how much my skin has improved. My friends and I had an impromptu dinner, game night, and sangria sesh, so I got home at 1 a.m.. I had to wake up early the next day to have brunch with another group. Here’s to hoping that I won’t mess with my skin’s progress—faith, trust, and Pixi (dust) toner. PHEW! I still woke up with a smooth, glowing complexion, despite my lack of sleep (six hours wasn't bad though!). I've also been watching my daily water intake via an app to make sure that I get enough hydration. I think this contributed to the brightening effects of the toner. I guess that's the secret combo for healthy-looking skin. I stayed up late, but I trusted that the Pixi Glow Tonic will make me look well-rested for my early day tomorrow. I had to stay home today because I felt sick. What I found interesting was that it didn’t show on my face. Cool! I can safely say that my skin definitely improved after using the Pixi Glow Tonic toner. My complexion did not turn whiter (my biggest fear), and the best of all, my skin just ~*glowed*~! It has earned the top spot in my skincare lineup. Now I understand the ~hype~! Pixi Glow Tonic is available in various sizes (P390/15ml, P990/100ml, and P1,690/250ml) at www.glamourbox.ph.